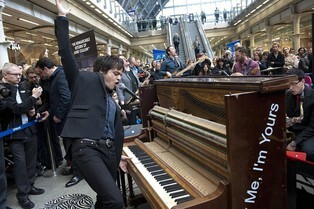 Play Me, I’m Yours is an artwork by UK artist Luke Jerram, which has been touring internationally since 2008. 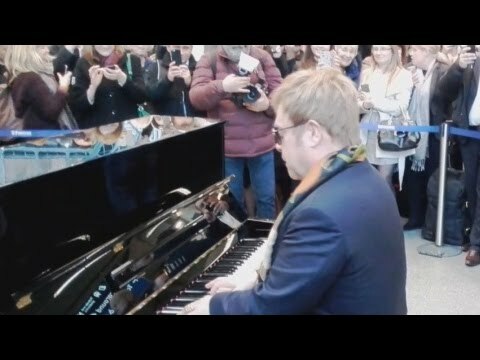 More than 1500 pianos have now been installed in over 50 cities across the globe, from New York to London bearing the simple invitation Play Me, I’m Yours. The project has reached more than 10 million people worldwide, with each new city that commissions the work becoming part of a growing legacy. 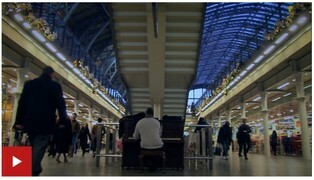 In 2012 the City of London Festival celebrated its golden anniversary on a grand scale, presenting Play Me, I’m Yours with 50 golden street pianos spread across London landmarks and beauty spots for three weeks, from 24 June until 13 July 2012. 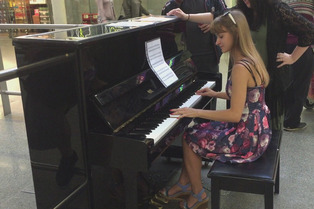 Most of these pianos were donated to good causes at the end of the presentation, but some of them are still available to play including three at St Pancras International Station (courtesy of St Pancras Station Management team), two at Canary Wharf and one at Herne Hill Railway Station, which is cared for by local residents with support from Herne Hill Forum – check out this brilliant documentary about the Herne Hill People’s Piano. 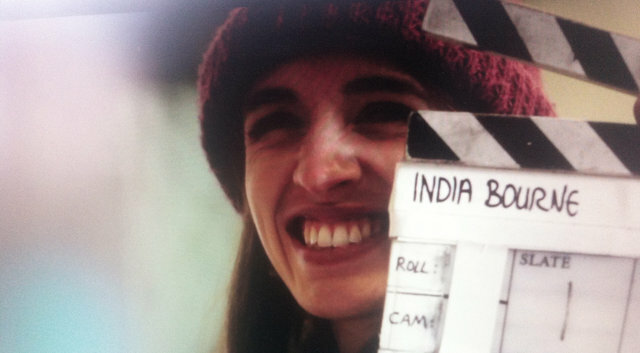 This website was made for you to post and share your films, photos and stories about the pianos. Whilst documenting each piano’s journey, the website connects the pianos and their communities across the city and acts as a legacy for the artwork. You can still post and/or view films, photos, and comments on this website. 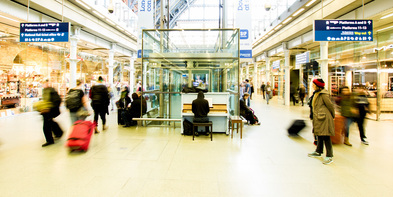 Taken in 2015, with a slow shutter to capture the movement of the public racing by, while the unknown pianist plays to a few static listeners. If used, please credit Phil Croucher Photography, thanks!